Since 2007, We have been recognized as the largest ID Fan Manufacturers India for large industries and factories. ID Fan(Induced Draft Fan) is always located between dust collector & chimney. Can be used to extract the air from boiler post-combustion via electrostatic precipitators and push the flue gases through the chimney. How does Induced Draft Fan work? ID Fan will take the hot flue gases from furnace via dust collector systems (or Fume Extraction system) and will deliver to the chimney and it also handles the flue gases hot air. ID Fan will also produce the lower pressure than the atmospheric pressure in the air system to exhaust flue gases from furnaces via electrostatic precipitators and push the flue gases to the chimney. 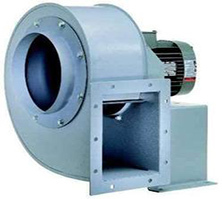 We are ID Fan Manufacturers India, catering wide variety of ID fans to several industrial sectors in Andhra Pradesh, Tamilnadu, Maharashtra and other states of India. For any queries or services, please feel free to contact us +91- 98665 83700.